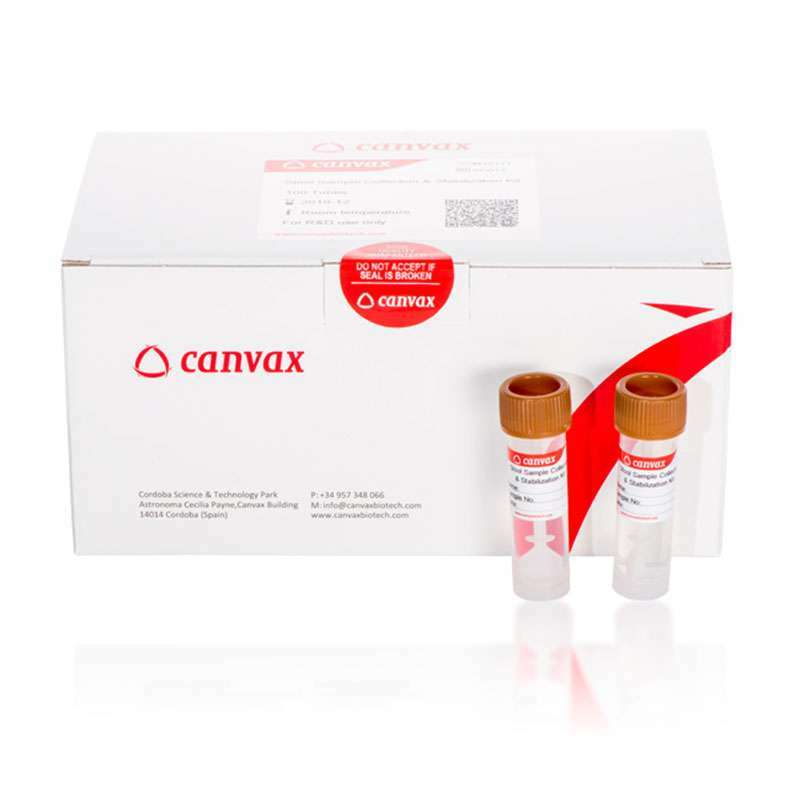 Optimized for Quantitative Gut Microbiome Research, the Canvax™ Stool Sample Collection & Stabilization Kit is a convenient, versatile & economic kit ideal for easy Collection, Transportation and Storage of Stool Samples. The Stool Sample Collection & Stabilization Kit contains a unique DNA stabilizaton buffer, preventing degradation of DNA and ensuring nucleic acid stability. The stabilized samples can be stored for several months at Room Temperature and indefinitely at -20º C or -80º C.
Optimized for Quantitative Gut Microbiome Research. Cost-Savings up to 50% in comparision with other suppliers. Easy for donors to self-collect. Reduce shipping costs: ship samples at RT. High Quality: samples obtained without need to process immediately. Convenient: eliminates odor during processing. Fast protocol: results in 58 minutes. We offer 5 free samples of this kit on a first come, first served basis (offer is limited to research labs in Denmark). To take advantage of this offer (while it lasts) get in touch with us, using the Enquire form when you visit the product page for the Stool Sample Collection & Stabilization Kit.